Cineplex is saying ‘game on’ to a beloved entertainment and arcade concept that was first launched in the 1990s. Playdium will be making a big comeback across Canada over the coming years, receiving a second life with a brand new concept. The company announced today that it is planning to open between 10 to 15 Playdium locations in “mid-sized communities”, with the first location planned for the Whitby Entertainment Centrum in Whitby, Ontario. This location will open in early 2018. Each location will range between 30,000 and 35,000 sq. ft. and feature a selection of classic and new-to-market video and redemption games, unique interactive experiences such as virtual reality, and play attractions like augmented climbing walls, bowling, rope courses, and two-level laser tag. There will also be food and beverage options, serving casual items such as burgers, pastas, poutines, and sweets, and private rooms designed for birthday parties and special gatherings. The new Playdium complements Cineplex’s newly launched ‘The Rec Room’ concept, which expands on the Playdium concept with upscale offerings by including restaurants, bars, and other entertainment options. 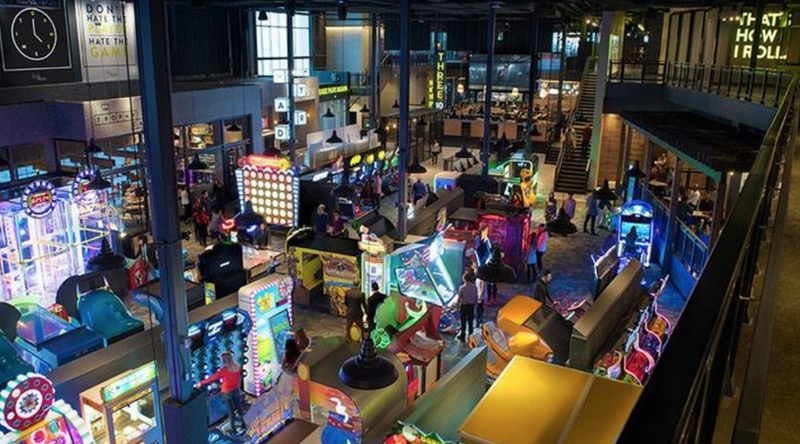 “Based on the response we are seeing from The Rec Room, there is tremendous potential to create a destination designed primarily for teens, young adults and also their families,” said Ellis Jacob, President and CEO of Cineplex, in a statement. A number of The Rec Room locations have recently opened in South Edmonton, West Edmonton Mall, and The Roundhouse in downtown Toronto, and more locations are planned for entertainment destinations in London, Mississauga, and The Amazing Brentwood in Burnaby. Most Playdium locations have shuttered their doors since their heyday; the only location that remains open is the Playdium centre in Mississauga.